Fan Flock is about to make this show a truly memorable experience for a flock of fans! You heard it here first, Fan Flock is offering a great deal to attendees of Essence of Bellydance/Bellydance Evolution. Being experts in the area of fan experiences and fan fun, Fan Flock is hosting a raffle that will allow a few lucky winners the chance to have lunch with one of the principal members of the event, win two tickets to the show or other offerings of their choice. There are approximately 5 prizes from which to pick and all are really exciting, cool things that will allow the winner a very memorable fan experience. More details to come! In the meantime, check out www.missbellydance.com and get a glimpse at some of the costumes being worn by dancers at the event as well as buy tickets for the Alice in Wonderland show produced by Bellydance Evolution. MissBellydance.com is one of many proud sponsors of this extraordinary event hosted by team Essence of Essence of Bellydance. Custom made skirts and blouses for bellydance professionals. A professional costume is a thing of beauty. At MissBellydance.com we custom make our professional line to fit you just the way you want it. We take a great deal of pride in constructing the costume to the colour and design of the professional’s choice. These costumes are extremely important to a dancer’s career. When you’ve invested time and money into your raqs education you deserve to have a costume that becomes your elegant skillset. Having mastered so much in the art of Raqs Sharqi, it’s time to go forward and present your bellydance best to the world. Whether you are starting out in a restaurant or competiting in a prestigious competition, get a professional costume to match your personal style. MissBellydance.com bedluh’s are custom made to fit all dancers in a variety of sizes, it’s tailor made. MissBellydance carries bedluhs, beladi dresses and other styles of bellydance bras and belts of the modern era. We also have classwear for teachers and an array of hipscarves for your students. If you’re ready to invest in your raqs presentation, click here for our large selection of bellydance professional wear and follow us on Twitter @missbellydance, Facebook and Instagram for updates and photos of new items we have in stock plus things to come. We wish you the best in your raqs journey, reach out to us at anytime with questions and inquiries on the culture, the art, music and more. Our team of international citizens will be glad to help you and can in most cases help you in your language of choice via our FB page and on select days via phone. We’re looking ahead to late Autumn where we’ll be spending a week with the Atlanta Fusion Bellydance team for Essence of Bellydance IV! What an amazing team of volunteers and leaders under the direction of Faaridah! Attendees are in for all sorts of amazing extras and surprises with vendors like MissBellydance.com and the team FanFlock hosted by Global Sound Scene. It will certainly be a weekend to remember! Some of the amazing extras include the Competition. It allows the community and other dancers an opportunity to train with cast and possibly be in the show. Be sure to click through to learn more. FanFlock hosted by Global Sound Scene will allow 2 raffle ticket winners the opportunity to win really cool items from the event, like 2 free tickets to the show. MissBellydance.com will be revealing some cool new surprises, limited edition autographed cds from Mazaag and fun things for dancers, their friends and professionals. 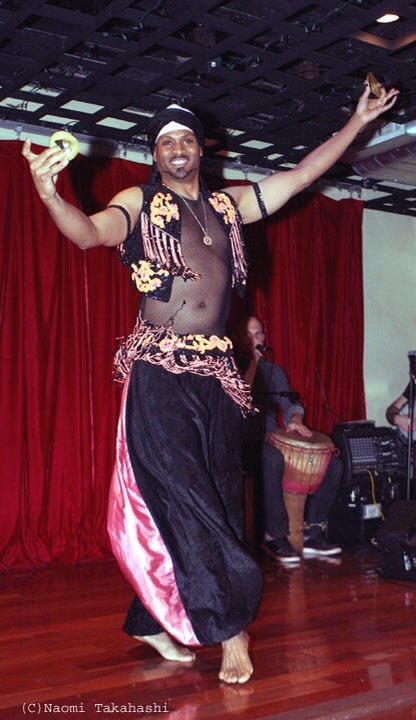 There’s so much to look forward to at Essence of Bellydance IV! It’s going to be an amazing opportunity for all in attendance. Accommodations are at the W Hotel in Midtown, one of Atlanta’s top hot spots for relaxing and getting away. The cast of Bellydance Evolution will be there the entire weekend, 4 days of ultimate fun with top names like Jilinna, ultra talented mega stars like Danielo and Luchia. You can’t miss this chance to hang out with dancers from around the world in one of the south’s biggest cultured cities. Register right here at a discounted rate. Rates will increase soon so get your tickets now! You can also buy through our website link. http://www.missbellydance.com – Flyer and info are in the center of page, enjoy! See you there! !